It is our pleasure to introduce the exclusive apartment opportunity at Tuxedo Point – the new luxury living community near to the new Winnipeg Outlet Collection Mall. This is the place where dreams are not only envisioned but realized. This is the place where easy living without sacrifice is finally achieved. This is the place you can be proud to call home. LXTX aims to provide the ultimate combination of modern day conveniences while still maintaining the allure of carefree apartment living. Spacious suites up to 2,100 SF will be outfitted with quality materials, insuite laundry, ample storage and adorned by high end stainless steel appliances. This is the place where balconies with a view are a given. The place where 'downsizing' is a term used in reference to square footage – not expectations. Allow the sophisticated concierge team to take care of all of the busy work and find more time in the day to appreciate the simple things. Allow yourself to walk right past the well manicured courtyard and large spacious hallways and into your quiet suite to enjoy a coffee out on your Fort Whyte view balcony. 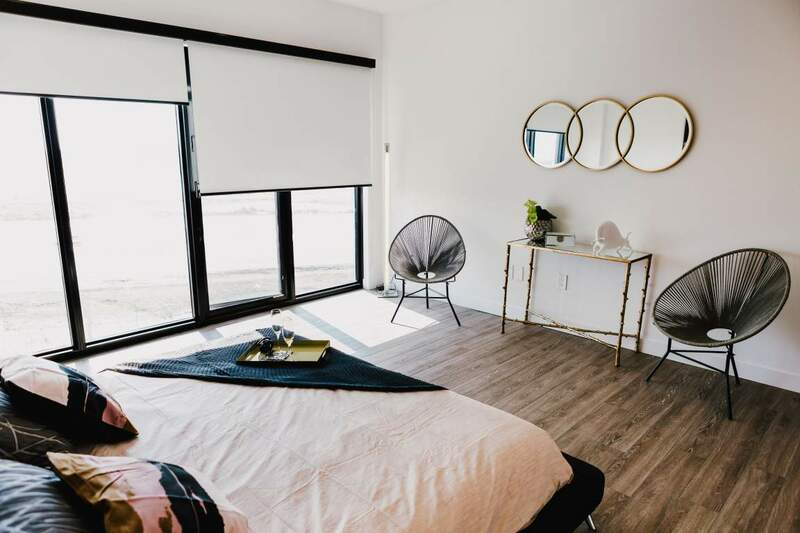 Tenants will also enjoy access to party rooms, the rooftop patio, onsite fitness facility and fully furnished guest suites for their out-of-town visitors. Don't let Winnipeg Winters be an issue any longer – enjoy the benefit of two levels of heated indoor parking with access to the onsite car wash.
Oh, and no need to leave your best friend behind. LXTX understands just how important furry family members are and welcomes them in as well. Walks in the courtyard and in the adjacent dog park can be a daily activity. Whether you're looking to downsize without compromise, find a nice place to call home in Winnipeg for the Summer months, start a family or finally spoil yourself for all of your hard work – LXTX is the place for you.